Can 'Sell and Rent Back' Help Me Out of Debt? Home > Get Out of Debt > Can 'Sell and Rent Back' Help Me Out of Debt? Repossessions are on the increase. The culture in the UK for spending, the interest rates rises and the credit crunch have meant many people are having difficulties paying their mortgage. Many of these people face repossession. Missing your mortgage payments on several occasions can leave you at risk of having your house taken away from you by your creditors. Repossession is difficult for anyone and, unsurprisingly, many people are desperate to find an alternative to it. But one alternative may not be as beneficial to the homeowner as it makes out to be. What is Sell and Rent Back? If you are in trouble with your mortgage and can’t make the repayments you may be faced with the possibility of losing it. Having lived in the house for some time, decorated it, filled it with memories, the idea of leaving may be too much to bear. This is where the Sell and Rent Back scheme becomes useful. Sell and Rent Back companies offer to buy the house from the homeowner and then allow them to continue living in it, paying rent. The scheme works well in theory but there are some disadvantages that you should be made aware of before entering into such a scheme. How much will I Receive for my House? One of the main drawbacks of the Sell and Rent Back scheme is you are unlikely to receive the full value of the property. The provider is aware you are on in a desperate situation and cannot wait around for the full asking price. Instead they will offer you a reduced sum. This can be as low as 60%. When you are on the brink of losing your home though, the money may not be the immediate priority. Can I stay in my House for Good? When you enter into a Sell and Rent Back scheme you may think you are then safe to stay in your house for as long as you like. However this is not always the case. In fact the company that buys your house, effectively your new landlord, can turf you out after six months. 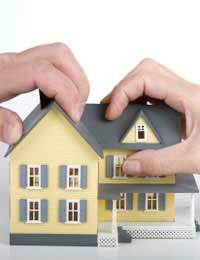 This all depends on the type of tenancy agreement that is taken out at the time of the sale. With an Assured Shorthold Tenancy agreement your landlord only has to legally allow you to stay in the property for a certain amount of time, often around six months. Before you enter into a Sell and Rent Back scheme make sure you research any other options available to you and discuss alternatives with your mortgage lender. If you are sure it is the right option for you then check out the providers and the rates they offer. Make sure you get the best possible price for your home and be sure to check what type of tenancy agreement you take out. Ask the provider to explain the tenancy agreement to you and, if possible, have someone look over the agreement for you to double check it all seems above board.